Do You Need Help Finding the Perfect Dentist in La Porte? 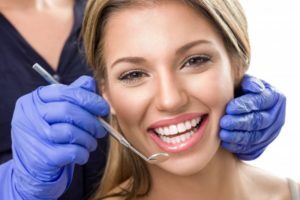 Do you need a new dentist in La Porte? Did you have a previous dentist that just wasn’t meeting your needs or providing the personalized care that your smile truly needs? Unfortunately, not ever dentist is a perfect fit for every patient. It can be intimidating to try to find the best dentist for you when you have so many options to choose from. Learn about how to find your perfect dentist in this week’s blog post! Finding a Dentist You Love is Important! If you never considered how important it is to find a dentist you’re confident in, consider this: how much more likely are you to skip dental visits if you don’t enjoy your dental team? The overall practice and dentist themselves can create more positive dental experiences that encourage you to receive the dental care you need, not avoid it. Any great dentist will tell you that preventing dental concerns is much easier (and better for your smile) than trying to repair it with costly, time-consuming restorative dental work—although we’re happy to do that for you if you absolutely need it. It’s best to preserve the health of your teeth and gums with effective preventive care from a dentist you can trust! If you’re still on the market for choosing a dentist, you can refer to this quick list of questions. After comparing this list to your potential dentist’s website, you’ll start to understand whether they are a good fit for you or not. How long has it been since your potential dental practice opened? Does the dental practice provide a mission statement, commitment, or explain their approach to dentistry on their website? Has your potential dentist completed any additional training or continued education in recent years? Is your dentist a member of any professional associations that shares modern dental techniques and practices? Does your new dental practice take emergency dental appointments the same day? What is potential practice’s process when you do experience a dental accident? Does your potential practice offer extra comforts that will help your dental visit run smoothly or make you feel more comfortable? Does your new practice accept the type of dental insurance that you have? If you don’t have insurance, does the practice have other financial options available for you to use? Is the potential practice’s location convenient for you to visit after work or it is nearby your home? Choosing the perfect dentist isn’t always the easiest task, but with these insightful questions, you’ll be able to narrow down your options! Dr. Daniel Berquist and Dr. Joseph Ornelas are one of the modern dental partners in the local area. We take pride in staying up to date with the most advanced practices and technology, only offering the best dental care to our patients. Plus, we provide personalized care so that your specific concerns are always our top priority when you visit. Contact us today to schedule your first visit.